Does Anyone’s Dream Wedding Include a Bridal Selfie Stick? 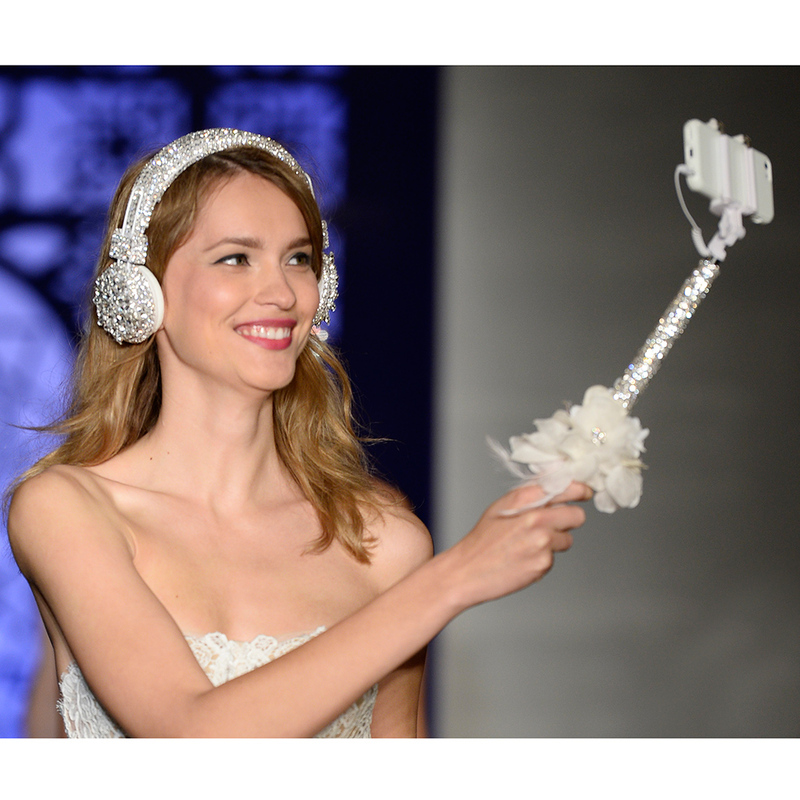 Yes, the fashion world, which has worked so hard to set a standard of self-indulgence few industries can touch, is taking that self-indulgence to new heights now that designer Reem Acra has introduced the bridal selfie stick as part of her fall 2016 bridal collection. For those who are trying to consciously avoid processing that statement, let me lay it out for you: It is a sparkling silver and lace-wrapped selfie stick that a bride can use to take selfies on her wedding day.